It’s that time of year again! 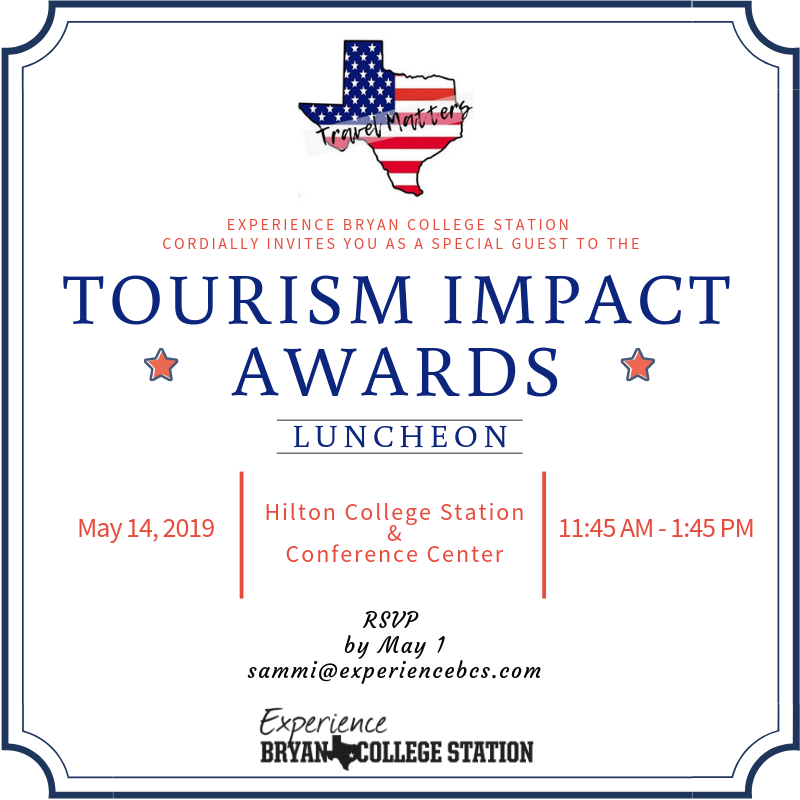 In honor of National Tourism Week, Experience Bryan College Station is hosting the 2019 Tourism Impact Awards Luncheon May 14th at the Hilton College Station & Conference Center. This event is held to celebrate and thank those who have influenced our community’s tourism aspect in a positive way. Please see the details of the event and registration information below. Register as an individual or purchase a table (seats 8) below by Wednesday, May 1.